Solar energy is the energy source of the future and is currently one of the most powerful energy resource available to mankind. Residential solar systems are on a rapid rise due to the substantial benefits they provide. Several homes run completely on solar energy, and with time this phenomenon is going to increase. Every path, especially the ones heralding fortune are replete with challenges and opportunities. Residential solar has a similar characteristic. For most of the people, the main concern with residential solar is in figuring out whether the initial investment will be feasible or not. The very first task involves roughly determining how much energy your home consumes. This will let you to figure out how much you must spend on the installation of photovoltaic (PV) cells. An important consideration at this point of time is to determine any future increase in electrical consumption. For instance, if you are currently not using Air Conditioner or any other heating system, but want to incorporate it into your daily life as soon as you go solar. Do consider this change in energy consumption before deciding the dimensions of the system you require. Another important aspect is to analyze your premise. How much shadow-free area is available? Is the sunlight being blocked by trees or any other structure? Before installing the PV cells, it is important to trim down the trees or remove the blocking structures from the path of sunlight. 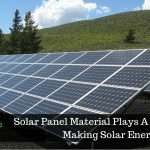 After these factors are sorted, investing in installing a solar panel for your residential property can be safe and remunerative. When you install solar panels in your home, for several decades you will enjoy low electricity bills. You will get fast ROI within few years—the cumulative savings made monthly will be more than the cost of installation that you made initially. Apart from these, your carbon footprint will become small. Isn’t living in a cleaner and greener environment priceless! As we have already observed, cost is one of the major concerns when it comes to going solar especially for the residential sector. 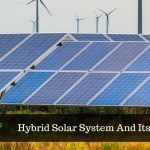 With this in mind, the government provides a great helping hand offering several solar rebates, tax subsidies, and other incentives to encourage people to take the solar course. The budget for the year 2017 had many advantages for the solar sector. 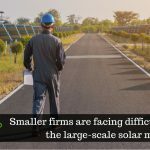 Apart from the government, private companies offering solar solutions provide lucrative options for the homeowners, like the OPEX model, CAPEX model, BOOT model, etc. These incentives will considerably decrease the capital required for initial installation. And with the decrease in cost of solar power solution the concerns over cost will also depreciate. Invest in what matters – a sustainable energy future! SaveGeo provides a wide range of solar energy solutions right from rooftop solutions to EPC services.